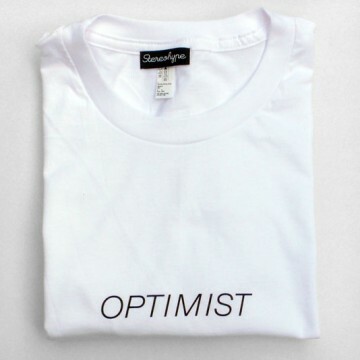 The Optimist Series consists of four screen-printed Stereohype T-shirts designed by FL@33's Tomi Vollauschek. The timeless typographic motifs were initially created as contributions for B.I.O. (By Invitation Only) Button Badge Series 5. 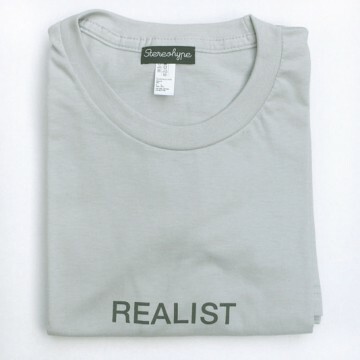 The type is featured in a size that allows for the words to be read even when wearing a jacket over the T-shirt. 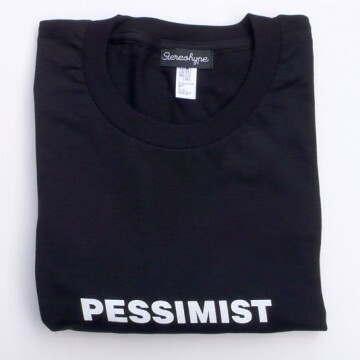 OPTIMISTIC UPDATE /// All four Idealist / Optimist / Realist / Pessimist T-shirt motifs are currently sold out but we are considering a reprint. 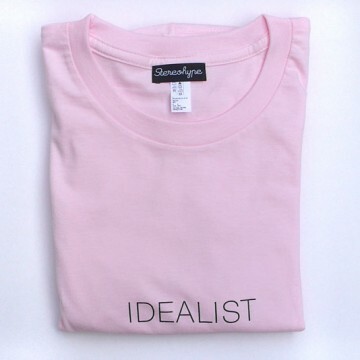 Please do therefore let us know if you are interested and which size you would then like to have.